Ryan Seacrest is the definition of a modern mogul. He is a dominant force in both radio and television, a savvy investor, a philanthropist, and most importantly, an equity partner in almost every project he gets involved with. That means long-term money, and lots of it. With the recent announcement that he'll be the new co-host of Live with Kelly and Ryan, the question of "How does he do it all?" is more prevalent now than ever before. And the answer is: He's basically the Energizer Bunny of entertainment. There is nothing this guy can't handle. Whether it's a zillion jobs or constant questions about his sexuality, he takes it all on, and plows ahead with the unstoppable force of some kind of showbiz hurricane. Here's a look at how he's done it, as well as just how full his plate really is. It's the untold truth of Ryan Seacrest. 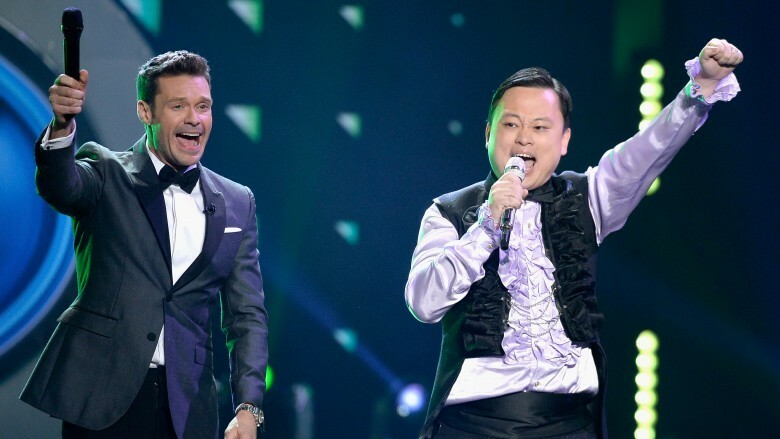 While everyone knows that Ryan Seacrest got his big break hosting American Idol, it may be surprising to learn that he almost turned the gig down in order to host another wildly popular show. "The same company that produces it, produces Family Feud, and I auditioned for Family Feud and I tested well in the audition," Seacrest said in an interview with Harry Connick Jr. (via People). But the production company said Seacrest had to make a choice between Family Feud and another opportunity they couldn't yet tell him about, which ended up being Idol. Seacrest also let another interesting tidbit slip about his Idol audition in an interview with EW when he was asked about his earliest memory of the show. "The beginning, when they had a host already hired. I had to talk them into letting me audition to be the second host." What this means, of course, is that in one slick move, Ryan Seacrest singlehandedly made Richard Karn's post-Home Improvement career while simultaneously ruining Brian Dunkleman's. But it was obviously the right call (for him, not Dunkleman), and it was that decision that launched Seacrest's rapid rise to stardom. The American Idol gig opened many doors for Seacrest, namely a huge development deal with E! worth $20 million dollars. This was the starting point for his production company, Ryan Seacrest Productions, which he used to begin creating (and owning) his own TV shows. One of those shows ended up being Keeping Up With The Kardashians, which was the brainchild of family matriarch, Kris Jenner, who pitched the show to Seacrest just as he was trying to figure out how to duplicate the success of The Osbournes on MTV. 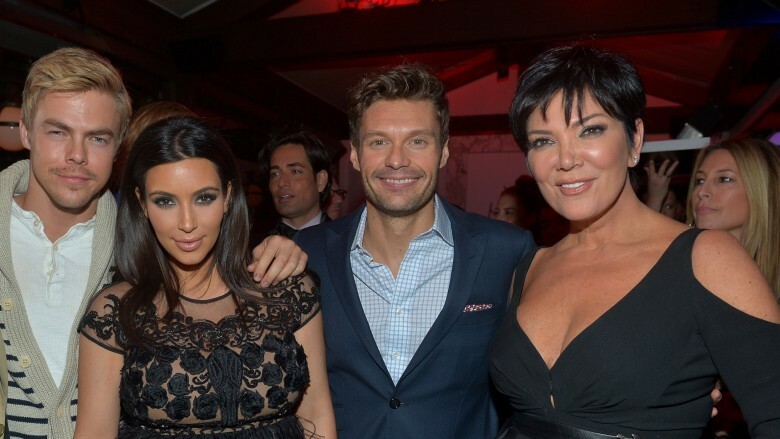 Seacrest told Access Hollywood Live that all it took to get a green light was footage he took of a Sunday barbecue at the Kardashian house during which "they were throwing each other in the pool," and boom, the rest is history. Seacrest also produced every spinoff show of the famous reality TV brood, as well as Shahs of Sunset, his other big reality hit for Bravo, because apparently there's a bottomless appetite out there for watching rich people do mundane stuff around Los Angeles. But for all his success, Seacrest has also had more than a few bombs. Starting with the failure of Paradise City (it lasted eight episodes), his show that followed "several 20-somethings who move to Las Vegas in order to fulfill their dreams of making it big," Seacrest has never come close to duplicating the success of Keeping up With The Kardashians. One of his first attempts was Bromance in 2008, which was basically The Bachelor except it starred Brody Jenner, and instead of looking for love, he was auditioning BFFs. That lasted six episodes. While he was unsuccessfully finding friends for Jenner, Seacrest also produced Mama's Boys From The Bronx, which TLC yanked after two episodes, and Denise Richards: It's Complicated, the show that carried a dark cloud from its outset since it included a court battle between Richards and Charlie Sheen over the inclusion of their children on the show. Yuck. 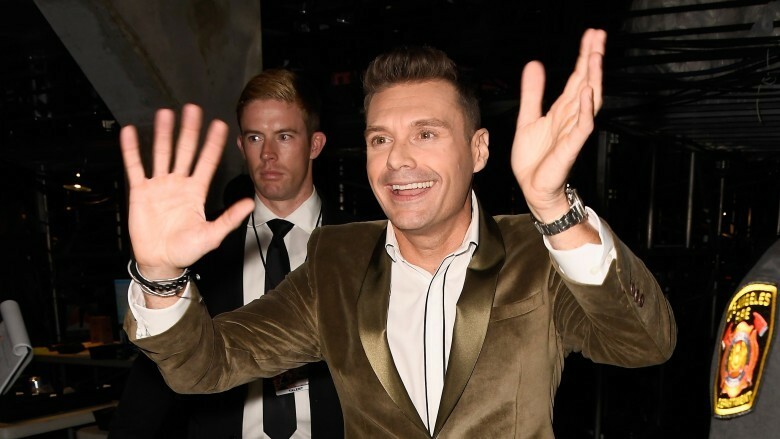 Seacrest has also been the literal face of some epic TV fails, like the strange 2015 show, Knock Knock Live, in which he sent celebrity correspondents to unsuspecting families' doorsteps for the chance to win cash and prizes. It lasted two episodes. He was also at the helm of The Million Second Quiz, NBC's failed attempt at a huge live concept that combined reality TV with a game show and had contestants participating 24 hours a day for 12 consecutive days, according to Variety. It was not picked up for a second season. But if you're about to start feeling bad for Seacrest, don't. The guy has more balls in the air than a juggler with 50 arms, not to mention a reported net worth of $350 million dollars at the time of this writing, so he can tank as many TV shows as he wants and be just fine. 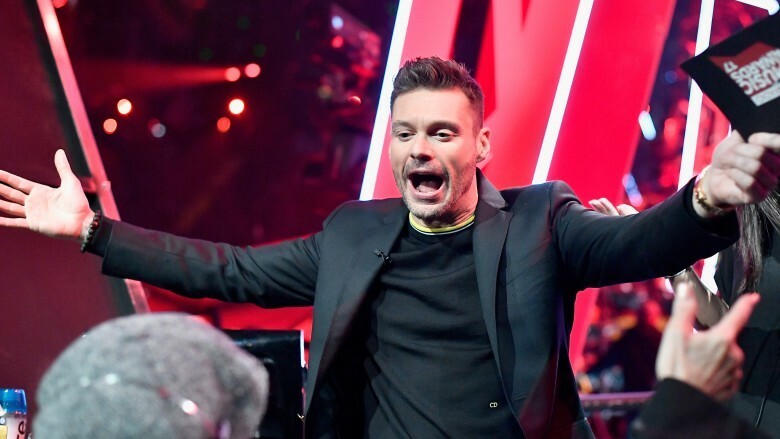 You're probably thinking, "Duh, you just told us he's produced a ton of TV shows," but Seacrest has taken his fortune far outside of his broadcasting comfort zone. Like many in Hollywood, Seacrest has launched clothing and skin care lines. He's also spread his Kardashian money around in other areas, like tech startups he's invested in through his "personal investment arm, the Seacrest Global Group." Perhaps you've heard of something called Pinterest? That's right, Seacrest has money in that, too. Of his interest in working with Silicon Valley start-ups, Seacrest told Haute Living, "I really appreciate the opportunity to work with entrepreneurs. They are dreamers and tireless workers, qualities I relate to. I also learn a lot just interacting with them. They raise smart questions and solve problems proactively and swiftly. I hope to continue to have the chance to work with new companies—it's fun, and fuels my curiosity." One of those projects was Typo, a keyboard that could be attached to any touchscreen phone, essentially turning it into a product almost identical to a Blackberry. This obviously didn't sit well with the actual makers of the Blackberry, who sued the makers of Typo, which resulted in a settlement that no longer allowed Typo to make the product for phones, essentially stopping it dead in its tracks, according to CNN Money. And sure, that endeavor was obviously a failure, but it doesn't take away the fact that Seacrest is the man who not only introduced Blac Chyna to the world, but he's also partially the reason you were a hit at Thanksgiving with your cheese ball that looked like a little turkey. Those kinds of accomplishments will never be overshadowed. Seacrest always knew he wanted to be in the entertainment business. As a young child, he made fake radio shows in his bedroom with a Radio Shack mixer he saved up to buy. At 16, he interned at a local Atlanta radio station, but already had his eyes on bigger goals. In an interview with Haute Living, he described his first trip to LA — with the family of a high school girlfriend — as the real starting point of his obsession with fame. "I never forgot that feeling. When I went back to school and was in college, I was literally sleepless trying to figure out a way to come back and work here," he said. For Seacrest, college was brief. He went to the University of Georgia and majored in Journalism before dropping out at 19-years-old, telling Esquire he headed to LA "in a Honda Prelude with $2,000 in Christmas cash he stashed over the years." But unlike most LA hopefuls who get off a bus with stars in their eyes and zero prospects, Seacrest already had a gig "cohosting Gladiators 2000, a Saturday-morning kids' show, sharing duties with a 13-year-old girl." Sure, that sounds funny, and it only paid $200 per episode, but it got him on TV. Eight years and countless obscure gigs later — Wild Animal Games? — American Idol happened, and the Seacrest we've come to know began to take shape. 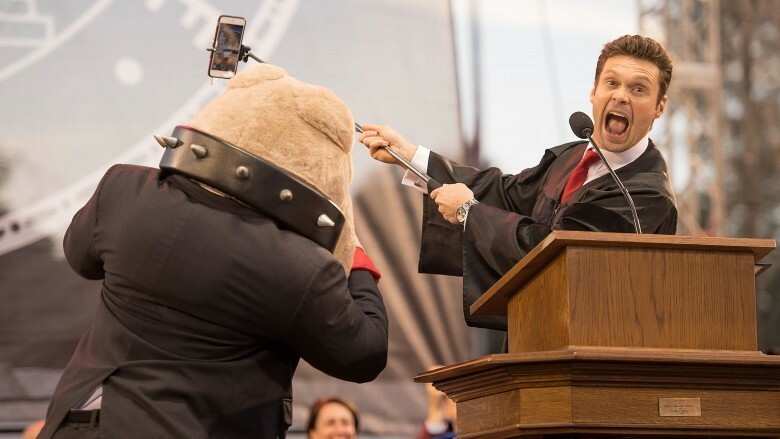 We should note, however, that Seacrest was eventually awarded "an honorary Doctor of Humane Letters degree" from the very school he left after just one year, so whatever kind of message that sends to kids, we'd rather not repeat it here. Stop us if this sounds familiar: Through an organization he's created, Ryan Seacrest has accomplished big things. This time, it's philanthropy. The Ryan Seacrest Foundation is his major charitable effort, and its goal is to enable patients in pediatric hospitals to "explore the creative realms of radio, television and new media, that will aid in the healing process for children and their families during their stay." They do this by building broadcast facilities, called Seacrest Studios, right inside the hospital. The patients are encouraged to use the studio to host live radio shows, play music, and create music videos. They're also sometimes treated to celebrity guest performances, which are all broadcast on a closed-circuit network that plays on every patient's in-room TV. "Our next goal is to take all of these studios and fuse them together and make the first ever pediatric entertainment network. I don't know how to do it [yet], but we're going to try," Seacrest told Haute Living. We're not crying, you're crying. 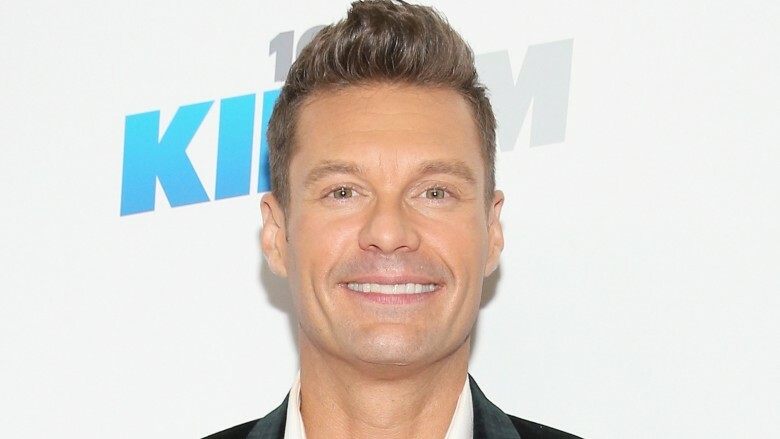 Yes, we're getting to the gay rumors in a minute, but first let's take a look at some of Seacrest's more questionable relationships— with women. 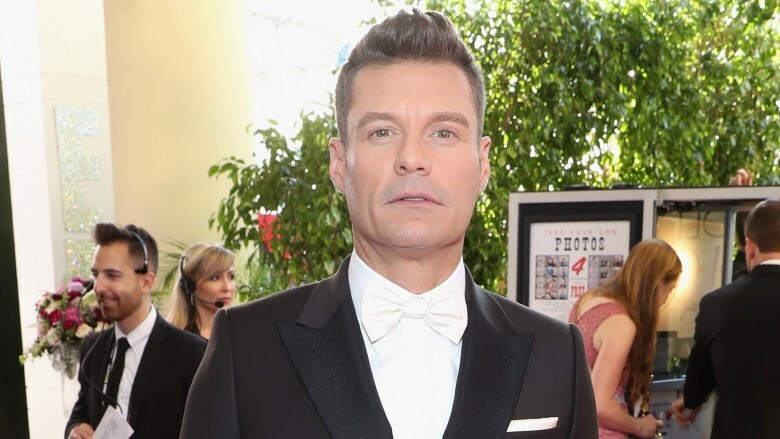 Though he's one of the most public of all public figures, Seacrest has never been showy about his romantic life. One of the first glimpses into the way that operates for him was his random breakup with actress Teri Hatcher. In an interview with Oprah (via Reality TV World), Hatcher claimed that after People published a photo of the pair kissing, Seacrest called her and said, "I don't think I can do this with you." It was only their third date, and Hatcher said she still doesn't understand what went wrong. Seacrest would later attribute the whole thing to busy schedules. Then, a newly-single Julianne Hough gave an interview with Redbook where she talked about her previous relationships, including her most recent one with Seacrest, who she dated for three years. "Every relationship, there was nothing wrong or bad, but there was nothing right. I had one foot out because I didn't want to get hurt. And I didn't say what was on my mind because I didn't want to ruffle any feathers. I needed to be perfect," she curiously said. This, of course, just provided more fuel for the rumor mill that their entire arrangement was nothing but a cover for Seacrest's true sexual preferences while simultaneously allowing Hough to be in a high-profile relationship to accentuate her budding fame. None of that has any basis in reality, but that never stopped anyone from believing it, which, yes, brings us back to the gay rumors. Geez, calm down! Though "Seacrest out!" is his signature catchphrase, America's favorite host has, indeed, never even come close to exiting the closet. In fact, he's been swatting away the suggestion as long as people like Simon Cowell have unsubtly been putting it out there. And in 2006, just a few years into his American Idol success, Seacrest made it clear as day to Esquire. "There was an agent I worked with who said, 'You should really try and curb that innuendo.' I thought, Why? Who cares? I know what I'm attracted to, and that's a female. 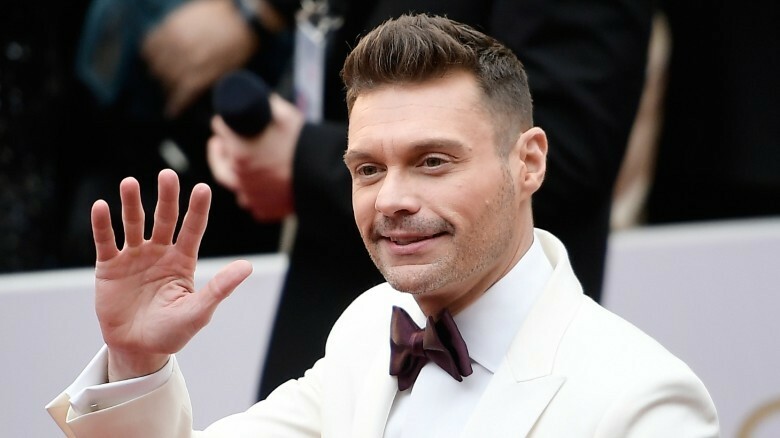 It's somehow become a stripe in the Ryan Seacrest business; it somehow takes on a life of its own just because I'm not the stereotypical guy," he said. "A friend of mine has a house with a basketball court and a pool. The guys go over and play basketball; I lie by the pool and nap in the sun. That defines me. That's consistent with who I am. I don't pretend to play basketball because I wanna feel like one of the guys. I wanna lie in the sun and relax," he continued. The bottom line here is that Seacrest seems like he could care less if people think he's in a committed relationship with a pickle jar, so long as it keeps him relevant as a public figure. Not to mention, he's been linked to one supermodel after another, so it's not like the perception has hurt him in the dating department either. Okay, we admit we saved a weak one here for last, but what were we supposed to do, put this right after his charity work and make ourselves look like jerks? Anyway, Ryan Seacrest once shared an unflattering photo of himself on The Tonight Show with Conan O'Brien from a time when he describes himself as a "fat kid," according to Vulture. In reality, he just had a bad haircut, even worse glasses, and braces. Yes, he had chubby cheeks, but he certainly was nowhere near the 180 pound mark he supposedly reached at just 13-years-old, according to The Daily Mail. Obviously, he's shed whatever baby fat he may have had, and gone the complete opposite direction. In an interview with Men's Fitness, the perpetually busy star said he always finds time to hit the gym. He achieves this by scheduling workouts as well as "keeping lockers at two different hotels in Los Angeles," on opposite ends of town. That way, he can grab a quick workout, shower and change no matter what part of the city he's conducting business in. But Seacrest also claims he's still "a massive food lover." Ready to hear what he binges out on? "I love to snack on things that are crunchy. Even though they're not bad, I tend to eat the wrong amount of almonds," he said. Oooh, naughty! What else? "I enjoy a fantastic meal and sometimes having a pizza with the prosciutto on it. I don't do it all the time, but man, when I do…" he continued. Sounds like a real struggle. We bet he sometimes forgets the handful of kale in his morning smoothie, too.